Looking for ways to improve your Pinterest marketing? Do you want to make your pins more clickable? To generate leads, conversions, and sales from Pinterest, your pins need to do more than move people to like and repin. In this article you’ll discover how to create pins that encourage people to click through to your site. 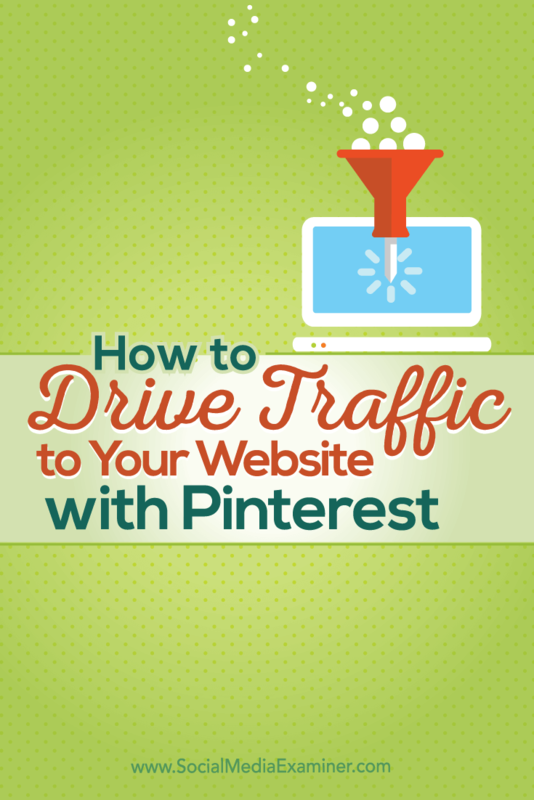 Discover how to use Pinterest to drive traffic to your website. Stories evoke a combined sense of emotion in us: curiosity, arousal, intrigue, and so on. Images help convey those stories which is why advertising professional David Ogilvy advocated for the use of photographs, and why you should use them in the pins you create to promote your content. The right images can make the viewer ask, “What’s going on in this picture?” Once you’ve captured their attention, you’ve likely induced them to click through to your site and learn the rest of the story. All pins use images but many include stock photography and overlaid text; these elements are so common that it’s become easy for viewers to skim over them. To stand out, you will want to choose images that are much more than mere graphic representations or photos of products; you want to use images that support the thread of the story you’re telling. For example, in the pin below your attention is drawn to the various tiles and, because they share a common feeling and share similar colors, your brain begins to establish a connection among them. There’s a connected story going on and you’re wondering what that story is. The separate but similar tiles in this pin make you want to click through to find the common thread they share. A pin that tells the viewer there’s a story being told makes people stop and look at it. The longer they view, the greater the chance of a click-through. Websites with clickable buttons that contain calls to action (or CTAs) have been around for a few decades now. As we’ve become regular users of websites to buy products, our brains are now wired to expect CTA buttons on websites as well as in social media content. Pins are no exception. In the pin below, you can see the phrase “Go For It” stands out clearly despite the other elements in this pin. The call to action in this graphic is “Go For It” but it stands out because it looks like a button. 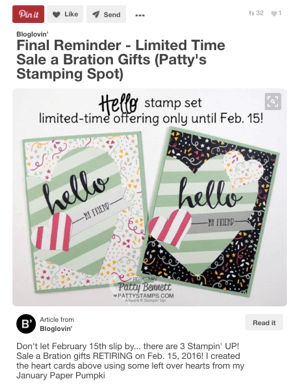 To incorporate this approach in your own Pinterest marketing, create a pinnable image that combines a clear text-based call to action with an element that resembles a button. The urge to click on the button translates to a click on your pin. One thing that makes people click through from a pin to a website is something popularly known as a curiosity gap. 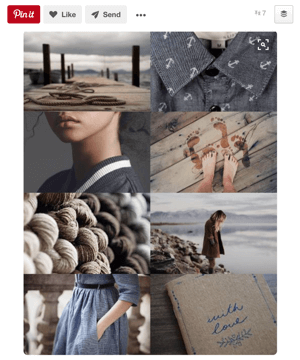 There are a few ways to introduce the curiosity gap into your pins; you can use the title, the description, or a text overlay on your pin image. Whether you use one or all three of the options available, use them to deliver a promise of vital information that will improve the lives of people who view your pin. People will click on your pin with the expectation that you’ll provide that information on the page your pin links to. In the pin below, Brilliant Business Moms promises to help people get more done in a day, but doesn’t tell them how. The curiosity gap is born. You won’t know what the 8-minute secret is until you click this pin. Creating a curiosity gap between the information you promise through the pin and the information you deliver on your website helps your followers decide to click more quickly. 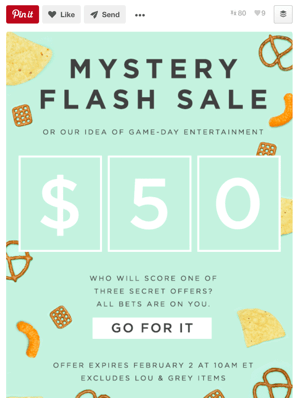 People are driven to check out offers that create a sense of urgency; offers that expire in a short time, products that are limited-edition or about to go out of stock, or information that the rest of the world knows about. The sense of urgency creates FOMO, or the fear of missing out. FOMO is what makes people grab the opportunity to use a discount, knowing that the offer will be gone in 24 hours. FOMO is why you click and buy something immediately because it’s almost out of stock. The pin below makes viewers nervous that they’ll miss out on a product that will no longer be available to them if they don’t click-through now and buy it. Using FOMO, or the Fear of Missing Out, is a powerful way to encourage viewers to click on your pin. As in this example, you can play subtly (but clearly) on the fear that there is something the reader will miss if they don’t click and act immediately. Use it to make your pins click-worthy. 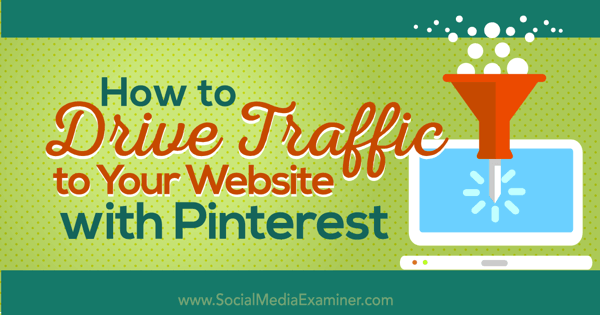 Pinterest is one of the best sources of traffic for many websites and blogs. This is especially true for online shops and thus a lot of small businesses want to find out more about how Pinterest works. Here’s the catch, however: Pinterest is a very saturated market space where businesses clamor for attention. 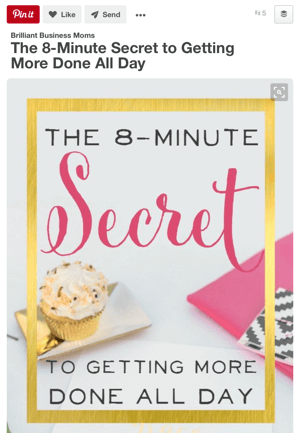 Most studies on Pinterest talk about getting more repins, shares, and likes, all of which are great, but don’t really matter to a business that needs traffic, leads, conversions, and sales. If you want real growth and are looking toward Pinterest as a viable channel, you have to design pins that get people to click on them. With the help of the tips discussed in this article, you can optimize your pins for clicks and drive more traffic to your website or blog. What do you think? Have you used any of these psychological triggers to get more Pinterest users to click your pins? What tactics have worked well for your business? Please let us know in the comments below! Tips on how to create pins that encourage people to click through to your site. Chandru studies and writes about social media tips and ideas for small businesses and online sellers. He blogs for Around.io, a social media productivity tool for ecom businesses.